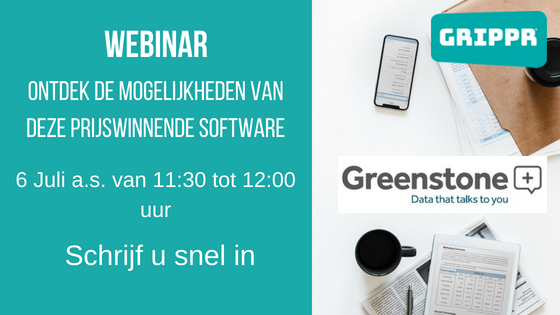 During the webinar, given on the 6th of July 2018, our partner Greenstone will give you a demonstration of their top selling SupplierPortal software which ensures that you can digitise the management of all of your contracts, track the addition of new GDPR clauses, and manage all your supplier information. SupplierPortal combines contract management with wider supplier management, which makes the solution unique. Stand-alone contract management systems are becoming more and more common. But how wonderful would it be when your supplier information management is an extension from your contract management? With Greenstone, all the important details from your contracts are just a few clicks away, with automated notifications informing you to renegotiate or terminate the contract. The introduction of GDPR means current contracts need to be updated, and SupplierPortal can help track this process. At the same time, suppliers and their information can be managed in a more transparent and efficient manner. Greenstone is an award-winning software provider in the UK, and Grippr is proud to be partner with them. Meer lezen over contractmanagement en/of leveranciersmanagement of ons partnerschap met Greenstone?